Nigerian rapper, Phyno, has replied Hushpuppi. 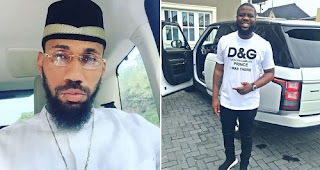 The Indigenous rapper took to his Snapchat to slam flamboyant big boy, Ray Hushpuppi, who mocked the former for rocking a counterfeit designer wristwatch. He took to no chill route as he slammed him for his statement stating that they are not on the same level, and that he lives and dies for the people unlike him who lives and dies for Gucci and the social media. He added that he bought a house, a car for his mom but he never mentioned it on social media.